Iris in winter are usually associated with the Algerian iris (Iris unguicularis) followed by the reticulate, bulbous iris. But there is another, less commonly seen species that deserves attention and that is Iris lazica, an herbaceous species from the Black Sea coast of Turkey. 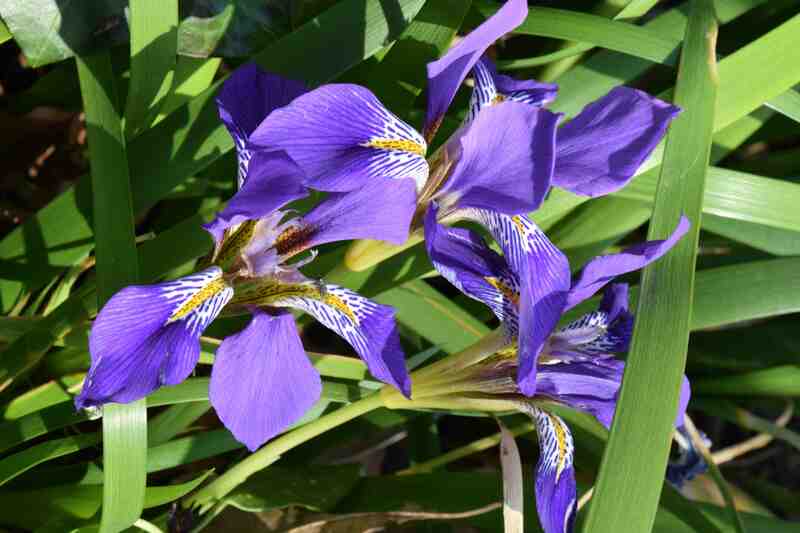 Unlike Iris unguicularis, which requires full sun, a dry soil and a lot of patience before it will bloom, this one naturally grows in shade or part shade in the wild and that means it will tolerate some shade in the garden, and moister soil. The woody rhizomes form clumps of fairly nondescript strappy, bright green leaves. These are no great shakes but they are less unsightly than the leaves of I. uncuicularis. They tend to grow at a 45% angle as they emerge from the soil rather than being more upright in I. unguicularis. The flowers also tend to open rather later, usually in February and at their peak in March. It is easy to grow at the edge of the border and around deciduous shrubs but the perfect companions would be spring flowers such as hellebores, spring bulbs, brunnera and ferns. Lovely, I will look out for this. Perhaps it will turn up at the garden club plant table sometime. Especially usefull as it is shade tolerant. I love this, it has shinier leaves than unguicularis and the flowers show up better. Mine has made a lovely big clump. yes it is odd it is not better known because it is, dare i say it, a better plant – and the name is MUCH easier to spell! Yes, I love this plant. I have two large clumps which flower profusely and have now been in place for c.6 years. They look crowded to me – should I divide?